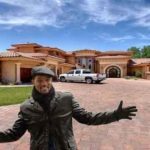 Do you wan to know who are the richest tennis players in the world. Great, in this article we are compiling a list of top 10 richest tennis personality. The major source of their income depends upon the Grand slam winning money and endorsements. Just have a glance at this article to know more about your favorite tennis players. Enjoy…!! Tenth position on our list of World’s Richest Tennis Players is acquired by Anna Sergeyevna Kournikova. She is an American Russian retired professional tennis player, who was born on 7 June 1981 in Moscow, Russian SFSR, Soviet Union. She is considered as one of the most popular tennis player in the world. She became famous not only because of her game, but for being bold and beautiful. 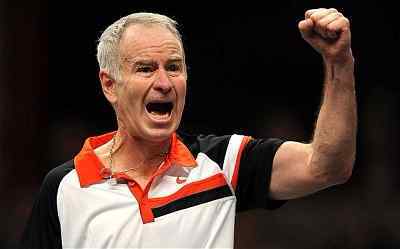 John Patrick McEnroe Jr. Aka John Mcenroe is a former American professional tennis player and former World’s No. 1 pro tennis player, who was born on February 16, 1959 in Wiesbaden, Hesse, West Germany. He won total 9 Grand Slam Singles Titles during his career, which includes 3 times Wimbledon Open, 4 times US Open, one Australian Open and one time French Open. 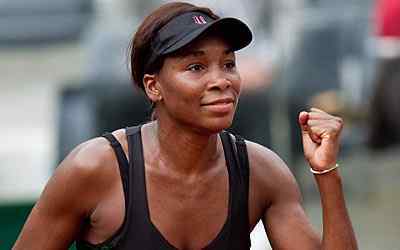 Venus Ebony Starr Williams Aka Venus Williams is an American pro tennis player, Olympic gold medalist (2 times), who was born on June 17, 1980 in Lynwood, California, U.S. She crowned World’s no. 1 female tennis player for 3 times by the Women’s Tennis Association (WTA). She won 9 Grand Slam Singles Titles in her career, which includes 5 times Wimbledon Open, 2 times US Open, one time French Open and one time Australian Open. Novak Djokovic is a Serbian professional tennis player, who was born on 22 May 1987 in Belgrade, SR Serbia, SFR Yugoslavia. 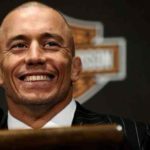 He is currently ranked as the World’s no. 1 tennis player by the Association of Tennis Professionals (ATP). He won 12 Grand Slam Singles Titles till date, which includes 6 times Australian Open, one time French Open, 3 times Wimbledon Open, 2 times US Open. He is a sixth male player to win 3 Grand Slam Titles in a calendar year. Rafael “Rafa” Nadal Parera is a Spanish professional tennis player, who was born on 3 June 1986 in Manacor, Balearic Islands, Spain. He is popularly known as the “The King of Clay” because he is one of the best clay-court player of all time. He won 14 Grand Slam Singles Titles in his career, which includes 9 times French Open, 2 times Wimbledon Open, one time Australian Open, 2 times US Open. He has been considered as one of the greatest tennis player of all times and also ranked as World’s no. 1 tennis player most of the times. 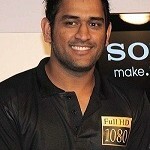 He endorsed many brands like Babolat, Kia Motors, Bacardi and Nike. Maria Yuryevna Sharapova Aka Maria Sharapova is a Russian pro tennis player, who was born on April 19, 1987 in Bradenton, Florida, United States. She crowned 5 times World’s no. 1 tennis player by the Women’s Tennis Association (WTA). She is also known as “Golden Girl” and also regarded as the most stylish female athlete in sports history. She won 5 Grand Slam Singles Titles in her career, which includes 2 times French Open, one time Australian Open, one time Wimbledon Open and one time US Open. 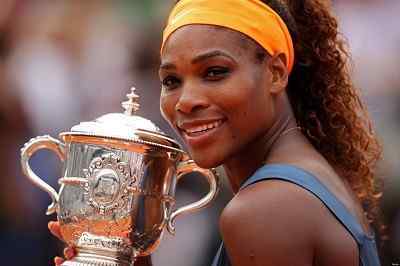 Serena Jameka Williams is an American professional tennis player, who was born on September 26, 1981. She is crowned as World’s no. 1 female tennis player by the Women’s Tennis Association (WTA). She is regarded as the greatest female tennis player of all time and has been ranked World’s no. 1 tennis player for 6 times. She won 22 Grand Slam Singles Titles in her career, which includes 7 times Wimbledon Open, 6 times Australian Open, 6 times US Open and 3 times French Open. She also endorses various famous brands like Nike, Gatorade, Wilson, OPI, etc. 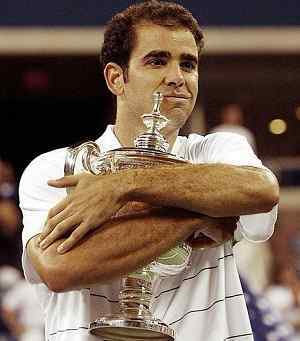 Petros “Pete” Sampras Aka Pistol Pete is an American retired American tennis player, who was born on August 12, 1971 in Washington, D.C. He is also considered as one of the greatest pro tennis players of all time and he is also a former World’s No.1 tennis player. He won 15 Grand Slam Singles Titles in his career, which includes 7 times Wimbledon Open, 2 times Australian Open, 5 times US Open and one time French Open. He debuted in the year 1998 and gets retired in 2002 after defeating the great Andre Agassi in US Open 2002. 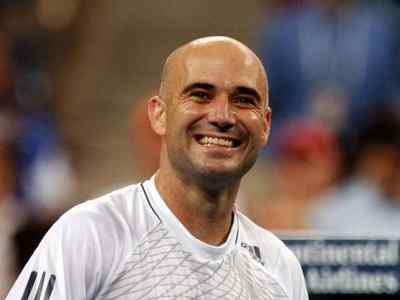 Andre Kirk Agassi Aka Andre Agassi is another American retired professional tennis player, former Olympic Gold Medalist (1996), former World’s No.1 tennis player, who was born on born April 29, 1970 in Las Vegas, Nevada. He is regarded as one of the most dominant players of all time and also one of the greatest service returner in the tennis history. He won 8 Grand Slam Singles Titles in his career, which includes 4 times Australian Open, 2 times US Open, one time Wimbledon Open and one time French Open. First position on our list of top 10 richest tennis player is occupied by one and only Roger Federer. He is a Swiss professional tennis player, who was born on 8 August 1981 in Basel, Switzerland. Currently, he listed in the 7th position in the world by the Association of Tennis Professionals (ATP. He is regarded as the one of the greatest tennis professional of all time. He won 17 Grand Slam Singles Titles in his career, which includes 7 times Wimbledon Open, 4 times Australian Open, 5 times US Open and one time French Open. This Swiss Tennis Superstar also endorse many top notch brands like Rolex, Nike, Moet and Chandon, Credit Suisse, Wilson, etc.